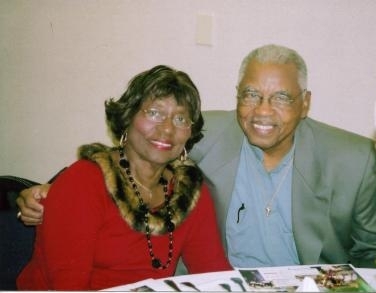 Mr. and Mrs. Donald Williams have been married 52 years and will celebrate 55 years in June. Donald and Vancilla, affectionately referred to as Don and Van. Both are retired guidance counselors. Don a retired high school guidance counselor, a coordinator for Upward Bound and board of directors member w/ Mid-Florida Credit Union; Van a retired elementary school guidance counselor. They have two sons and six grandchildren. The Williams are active in the community serving on various boards, as well as civic organizations. 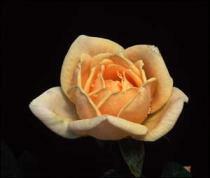 Van is a Golden member of Alpha Kappa Alpha Sorority, Inc., a member of the Society, Inc., the Juneteenth Committee, as well as many other civic organizations. The Williams travel extensively and enjoy helping others. And find favor in God's eye." Occupation- Both are Registered Pharmacists for Walmart. The Flemings live in Alabama. 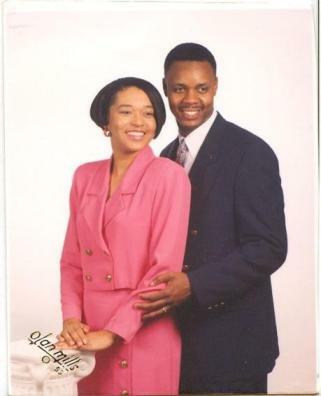 Pastors Marion & BJ Relefourd have been married 26 years, they have 2 biological children, Nakia Relefourd, and Keith Relefourd, along with his wife Karisha Relefourd. Keith and Karisha have blessed the Relefourd's with 2 grandchildren, KaShayla and Kadin Relefourd. The Relefourd's have numerous spirital children. 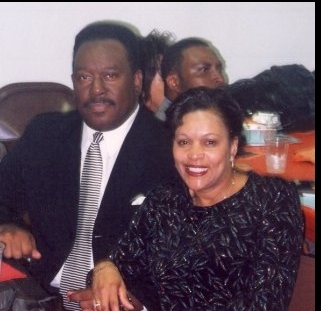 The Relefourd's pastor Vision Of Life Ministries, Lawrenceville Ga, which is metro Atlanta., however their ministry began in Lakeland, Florida under the dual leadership of Pastors Arthur and Clarise Johnson. The Relefourd's are under the covering of Bishop T.D. Jakes. 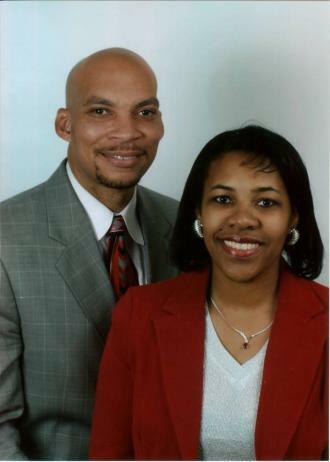 Their quote for life is: "We are not placed on this earth to compete with others, but to complete others, as we work hand in hand diligently in the kingdom"
Mr. James and Mrs. LaTonia Harrell reside in the Norfolk, Virginia. The Harrels have been together six and married three years. The lovely couple are proud parents of three daughters and two sons. "No matter how far apart we may be from one another at times. Everytime you feel your heart beat, that's me loving you." 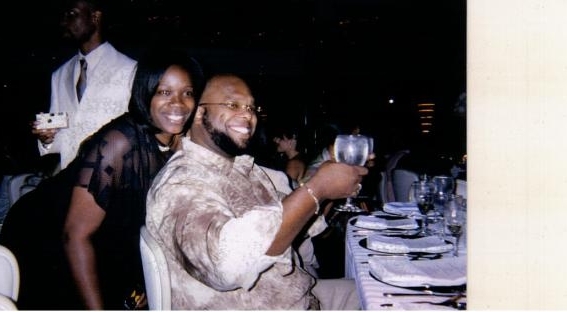 The Hines Thomas & Keisha Hines live in Milwaukee, Wisconsin with their two loving sons. The Hines have been married 13 years. 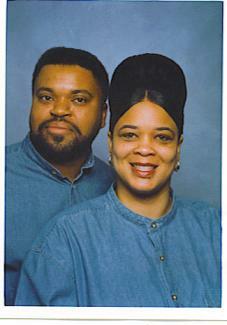 Thomas is a police sergeant and Keisha is owner of Hair Studio/Hair Designer. 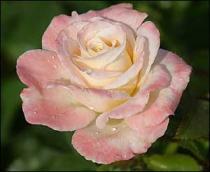 "A righteous heart is the fountain of beauty." Favorite romantic poem or quote. 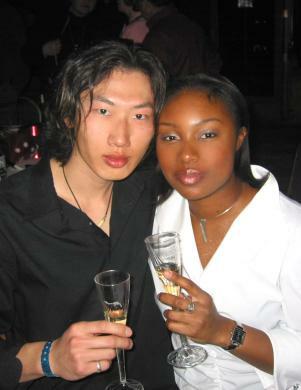 William "Ikemba" and Veronica "Amina" Crowley have been MARRIED 10 YEARS. The couple are parents of six (6) adorable CHILDREN. William and Veronica are SELF-EMPLOYED entreprenuers, who help others repair their credit. They reside in Florida. WE JUST KNOW THAT IT TAKES COMMUNICATION AND COMMITMENT TO MAKE A MARRIAGE WORK!!!!!!! 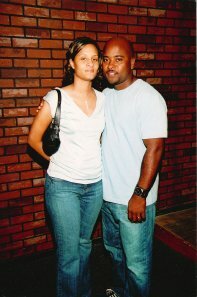 Artis & Diane are graduates of FAMU. Artis Sr. is The Director of Economic Development Support Services for the Polk County Tax Collector's Office, an Elder and Bible Class teacher for the 6th Street Church of Christ and coordinator for other committees. Artis is a member of the most recent Polk County Charter Review Commission and the Lakeland Juneteenth Chair in 2005. Diane is an Accountant Asoc. with Lockheed Martin Financial Services, a Bible Class teacher for the 6th Street Church of Christ and involved with the Lakeland Juneteenth Committee. Artis Jr. is a Civil Engineering major at USF in Tampa. Alex is a Criminology/ Forensic Science Major at Gannon University in Erie, PA. where he plays Quarterback for the football team. Quote: "Optimism is essential to achievement and it is also the foundation of courage and true progress." Rev. 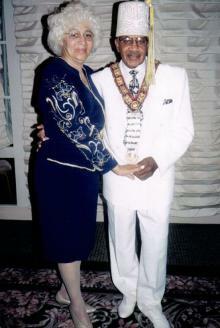 Kenneth and First Lady Deborah Stephens Bonner of Milwaukee, Wisconsin. The Bonners have been married seven years and have four children. They enjoy spending time together with family, church family and traveling. Rev. Bonners is a recording artist and Deborah is an executive assistant. The Bonners favorite scripture is Psalm 27 ... "The Lord is my light and my salvation; whom shall I fear? The Lord is the strength of my life; of whom shall I be afraid?" Mr. and Mrs. Rahman Ali have been married six years and live East Orange, New Jersey. Rahman and Ranisha have two bright and gifted children. Rahman is a franchise manager and Ranisha is co-owner of wholesale and retail gift shop downtown Newark, New Jersey. "Let your love be like the misty rain, coming softy, but flooding the river." 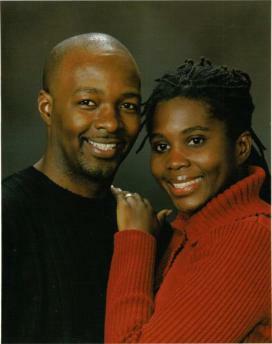 William & Ebony Mizell. 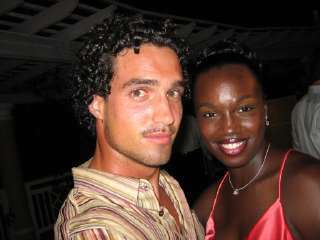 William is a firefighter and Ebony is an attorney. The Mizells have been married for 3 1/2 years and have one son, Aidan, who is 20 months old. 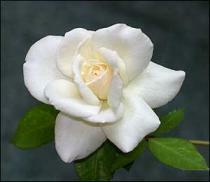 Love Quote: There is only one happiness in life, to love and be loved. 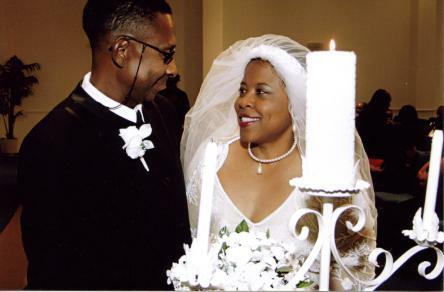 We will mark 24 yrs together on September 25, 2007. Occupation: Quintin works in the water depts 16 yrs. Adelia a Mortgage loan Asst. for a mortgage company 4 yrs. The Thompsons live in Florence, AL. Reggie has been the pastor of New Bethel Progressive Missionary Baptist Church for four (5) years. His 5th Pastor's Anniversary Appreciation will be held on Sunday, 02/26/06. He graduated from Lakeland Senior High School in 1985. Earned his Bachelor's Degree from Bethune-Cookman College in 1989 and his MBA from Nova Southeastern Univ. in 1993. He started at Polk Community College as an Academic Advisor and has progressed through the Admissions Specialist and Director of Enrollment Management positions. Most recently, he was promoted to Associate Dean of Student Services at Polk Community College. He is the President and assistant coach of the Lakeland Lumberjacks Youth Football organization, Youth Basketball coach at Simpson Park Recreation Center, Alpha Phi Alpha Fraternity, Inc., former member of the Lakeland Branch NAACP, member of the Executive Committee of the Council of Student Affairs, and involved with Juneteenth, Inc. 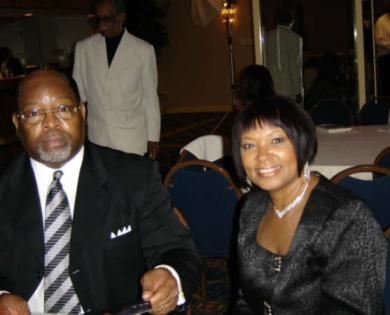 He's married to Deborah Ingram Webb who is an Senior Auto Underwriter with State Farm Insurance. She's been employed with State Farm for 18 1/2 yrs. She graduated from Winter Haven High School in 1986 and earned her Bachelor's Degree in Business Administration from the University of South Florida in 1997. She is currently a Polk County School mentor/volunteer, Polk County Junior Achievement volunteer, former member of Junior League of Greater Lakeland and the Lakeland Branch NAACP, former president of the SAC committee at Churchwell Elementary School. She's actively involved at church and serves as the President of the Sisterhood Ministry and Co-Chairperson of the Education Committee. She's also involved w/ Juneteenth, Inc. They have four handsome sons, Rashod, Trey and Deronte' and one beautiful daughter, Heavyn who, outside of school, are actively involved in church and sports. Regi and Deloris Patterson have been married 37 years. They renewed there vows last year. The Pattersons have three adults sons and two handsome grandsons ages 12 and 3. Regi is a State Farm Insurance Agent and Deloris is an Administrative Secretary at OCPS. The Bailey Group appreciates each couple for sharing as we honor the first sixteen online Valentine's Day Couples. 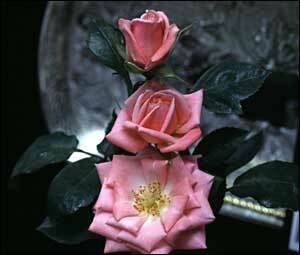 WE SALUTE YOU WITH ROSES!